When it comes to athletic shoes and athletic apparel, most of the time the two companies that are mentioned the most are Nike and Adidas. There are similarities between these two companies, and of course, differences. There is no “best” company to shop at because they all have their ups and downs. Comparing and contrasting will help to make the better choice for people. Nike and Adidas have different logos. all Adidas products have three stripes and all Nike products have a check mark logo. Adidas is mainly black and white, while Nike is made up of a lot of different colors. For example, on Nike shoe boxes, the color is almost all orange. Other Nike products, such as athletic shorts, come in many different colors. The same goes for Adidas. Adidas was started by a German cobbler, named adolf Dassler. His shoes sponsor most of the national soccer teams, some college basketball teams, and all of the National Basketball association’s Basketball teams. Nike sponsors many college Basketball teams and some soccer teams. Nike and Adidas both sponsor college Basketball teams and some soccer teams. Adidas is dominant in soccer and professional Basketball, while Nike is dominant in college Basketball teams. Both Nike and Adidas sell athletic shoes in all sports and athletic apparel. Adidas has footwear “technology” called adiPReNe. This technology makes the shoe more cushioned and more comfortable for one’s foot. Nike has footwear technology called Nike Shox. This provides a more comfortable fit, just like Adidas’ adiPReNe. Adidas and Nike are similar in these ways. In conclusion, Nike and Adidas are quite similar and different. Both have footwear technology and both sell athletic shoes and apparel. Nike sponsors different teams, leagues, and divisions than Adidas. 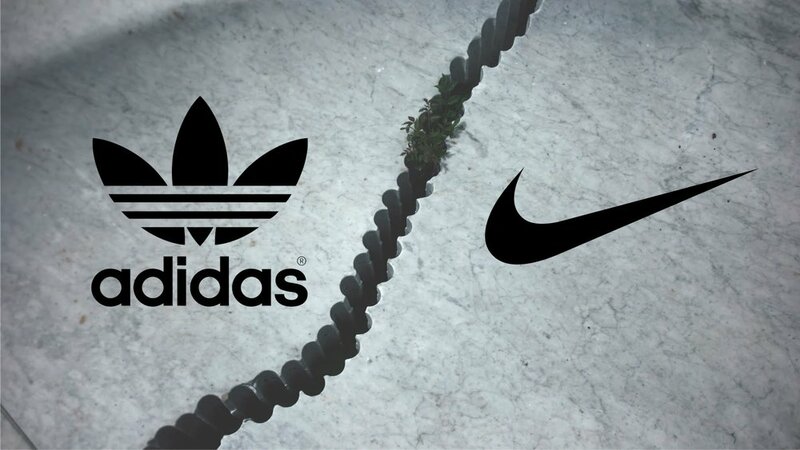 as you can see, Nike and Adidas are two competitive sports company that fight for business. It depends on the person someone is to make the right decision for them.